Violent acts over the past fifteen years have profoundly altered civil rituals, cultural identity, and the meaning of place in Tel Aviv. Three events in particular have shed light on the global rule of urban space in the struggle for territory, resources, and power: the assassination of Prime Minister Rabin in 1995 in the city council square; the suicidal bombing at the Dolphinarium Discothèque along the shoreline in 2001; and bombings in the Neve Shaanan neighborhood in 2003. 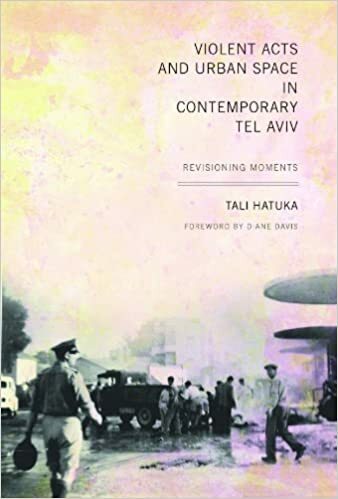 Tali Hatuka uses an interdisciplinary framework of urban theory and sociopolitical theory to shed light on the discourse regarding violent events to include an analysis of the physical space where these events take place. She exposes the complex relationships among local groups, the state, and the city, challenging the national discourse by offering a fresh interpretation of contesting forces and their effect on the urban environment. Perhaps the most valuable contribution of this book is its critical assessment of the current Israeli reality, which is affected by violent events that continually alter the everyday life of its citizens. Although these events have been widely publicized by the media, there is scant literature focusing on their impact on the urban spaces where people live and meet. In addition, Hatuka shows how sociopolitical events become crucial defining moments in contemporary lived experience, allowing us to examine universal questions about the way democracy, ideology, and memory are manifested in the city.